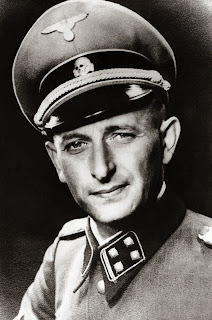 Was the arrest of Adolf Eichmann a distraction maneuver? According to German journalist Gaby Weber, Adolf Eichmann wasn't kidnapped on May 11th 1960. Actually, the Mossad, the CIA, and the BND(the West-German intelligence service) knew about his whereabouts since the end of the war. Which raises the question: why they did not catch him before? Was Eichmann maybe a double agent? Was he informing about other Nazis in South America? And if that's true, was he then collaborating with Western intelligence services already before the end of the war? Was he then a traitor to the Third Reich? On May 22nd 1960 there was an earthquake in Valdivia(Chile). 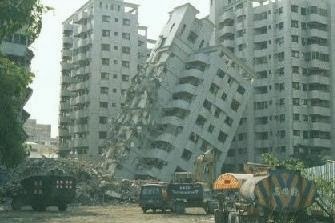 It was the most powerful earthquake ever, and it caused the death of approximately 6000 people. You would think that this event has nothing to do with Eichmann's arrest. But Weber learned from declassified BND files that the earthquake was provoked by US nuclear test in the Argentinian Patagonia. After being kidnapped, Adolf Eichmann was held prisoner in a secret location in Argentina. He was brought to Israel on May 22nd, the same day than the earthquake. Weber thinks that the two events were made intentionally to coincide; so that the day after Eichmann would be on the front page of every newspaper and not the earthquake. Weber was thrown out of the USA when she was investigating this subject, which may prove that she is right.